Makers and hackers getting started with connected devices and the Internet of Things (IoT) have many choices of development boards. In the last 18 months, the DIY market exploded with the availability of a variety of boards. Developers will have to choose from microcontroller-based boards, System on Chip (SOC) boards, Single-board Computers (SBC) and purpose-built boards with support for Smart Bluetooth and WiFi. CHIP is the new kid on the block. With the $9 price tag, it’s one of the most affordable full-blown computers available in the market. It comes with a powerful 1GHz processor powered by Allwinner R8. The best thing about CHIP is that it comes with embedded Bluetooth 4.0 and WiFi radios, providing out-of-the-box connectivity. The board has 4GB of high-speed storage to run a special Linux distribution based on Debian. You don’t need a separate SD Card to install and run the OS. The only drawback of this board is that it doesn’t have HDMI out. To connect it to a display, you have to use a TRRS connector for the composite output. You may need an adapter to connect it to regular VGA or HDMI displays. Since CHIP supports headless operation, you can get started without ever connecting it to a display. 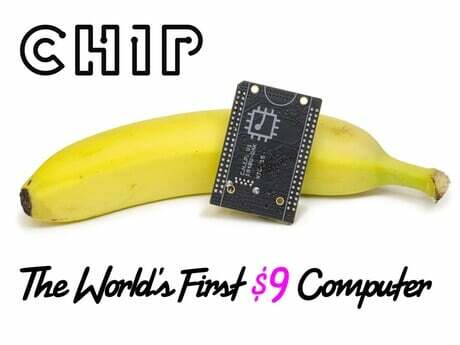 With 8 GPIO pins, CHIP can be connected to a variety of sensors. The board also supports PWM, UART, I2C for connecting motors and other actuators. One of the key advantages of CHIP is the cost and the form-factor. Developers can SSH into the Linux OS and install required packages. GPIO pins can be accessed through the command prompt or language-specific libraries. 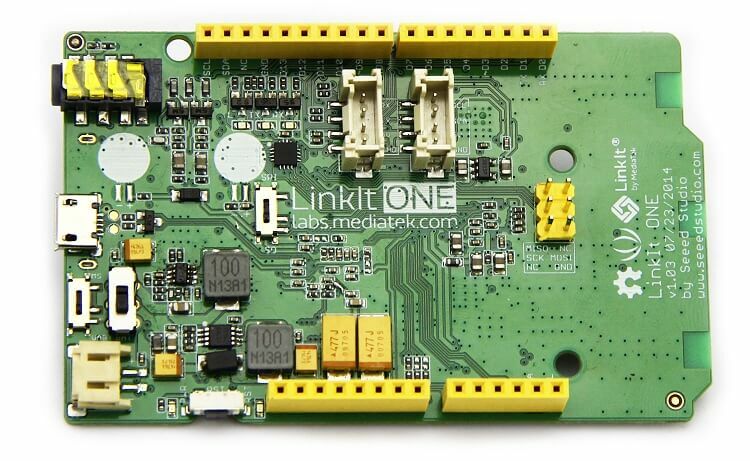 Based on the smallest SOC, the Linkit One board comes with compatible Arduino pinout features. The chipset is based on MT2502A (Aster, ARM7 EJ-S (TM) ) with 260MHz speed. Regarding connectivity, Linkit One has the most comprehensive collection of radios – GPS, GSM, GPRS, WiFi, and Bluetooth. One of the unique features of Linkit One is the rich API that can be used from Arduino IDE. The SDK comes with libraries to connect the board to AWS and PubNub. Because it supports the Arduino pinout, multiple shields from the Arduino ecosystem can be used with the board. With small form-factor and rich connectivity options, Linkit One can be used for rapid prototyping of connected IoT devices and wearables. Photon is one of the smallest prototyping boards available in the market. It comes with the same Broadcom BCM43362 Wi-Fi chip that powers Next, LiFX, and Amazon Dash buttons. 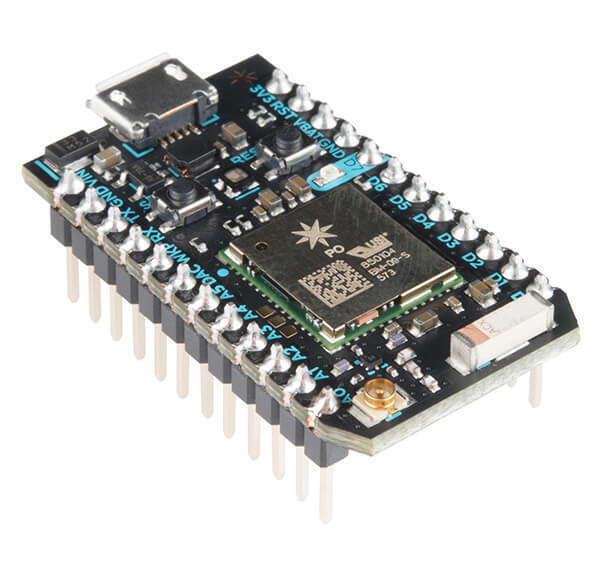 Powered by the STM32F205 120Mhz ARM Cortex M3 processor, Photon has 1MB flash and 128KB RAM. Once configured, the board is accessible from the Internet, which makes it an ideal prototyping platform to build connected applications. The board comes with five analog pins and eight digital pins for connecting various sensors and actuators. The official iOS and Android Apps that Particle has published come handy in controlling these pins directly. The powerful web-based IDE lets you write sketches that are compatible with Arduino. Developers can also buy a variety of shields for interfacing with relays, motors, and the broader Arduino Uno ecosystem. Tessel 2 is a solid development board for serious developers. It comes with a choice of sensors and actuators that can be directly connected to the module ports. The board is powered by a 580MHz MediaTek MT7620n processor for faster execution. It is complemented by a 48MHz Atmel SAMD21 coprocessor for better managing the power and real-time I/O. It has 64 MB DDR2 RAM & 32 MB Flash, which is more than sufficient for running complex code. The Micro-USB port is used for both powering the board as well as connecting to the PC. 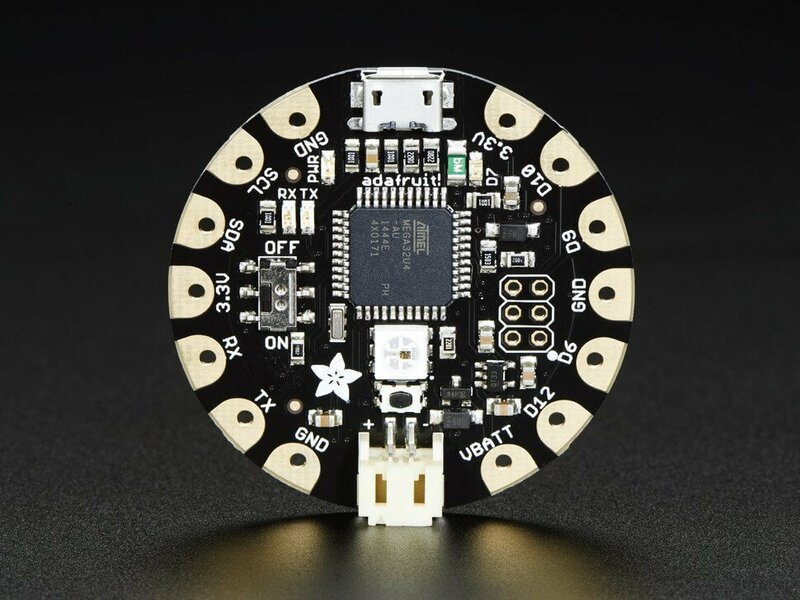 If you are interested in wearables, Adafruit Flora is for you. It’s a wearable electronic platform based on the most popular Arduino microcontroller. Flora’s size makes it an ideal choice for embedded it in clothes and apparel. It comes with a thin, sewable, conductor thread which acts as the wire that connects the power and other accessories. The latest version of Flora ships with a micro-USB and Neopixel LEDs for easy programmability and testing. Adafruit Flora is based on Atmega 32u4 microcontroller, which powers Arduino Mega and Leonardo. There is an onboard polarized 2 JST battery connector with protection Schottky diode for use with external battery packs from 3.5v to 9v DC. Given its compatibility with Arduino, most of the sketches would run without modifications. You can use the same Arduino IDE with that you may already be familiar. LightBlue Bean is an Arduino-compatible microcontroller board that ships with embedded Bluetooth Low Energy (BLE), RGB LED, temperature sensor, and an accelerometer. Bean+ is the successor to the already popular, which includes a rechargeable LiPo battery along with a couple of Grove connectors. The board comes with a coin-cell battery, which further helps it to maintain the small form factor. It can be paired with Android or iOS devices for remote connectivity and control. It also comes with a software called BeanLoader for programming from Windows or Mac equipped with BLE. BeanLoader installs an Arduino IDE add-on for programming the Bean platform. 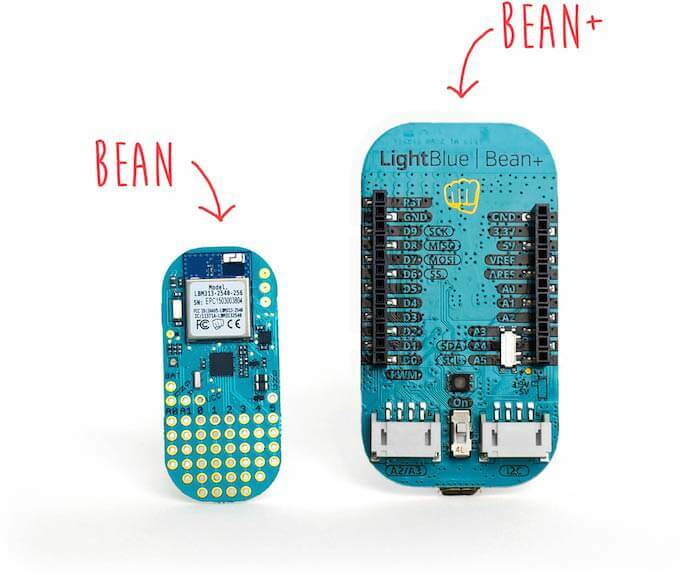 LightBlue Bean / Bean+ is powered by an ATmega328p microcontroller with 32KB Flash memory and 2KB SRAM. With 8 GPIO pins, two analog pins, four PWM pins, and an I2C port, Bean is perfect for quickly prototyping BLE-based IoT projects. Udoo Neo is a full-blown computer that also has an Arduino-compatible microcontroller. It’s positioned as the combination of Raspberry Pi and Arduino. The board has the same pinout as Arduino Uno. Neo embeds two cores on the same processor – a powerful 1GHz ARM Cortex-A9, and an ARM Cortex-M4 I/O real-time co-processor. It packs a punch with an embedded 9-axis motion sensors and a Wi-Fi + Bluetooth 4.0 module. You can install Android Lollipop or a customized flavor of Debian Linux called UDOObuntu, which is compatible with Ubuntu 14.04 LTS. When it comes to the power-packed features and specifications, Udoo NEO is nothing short of a desktop computer. 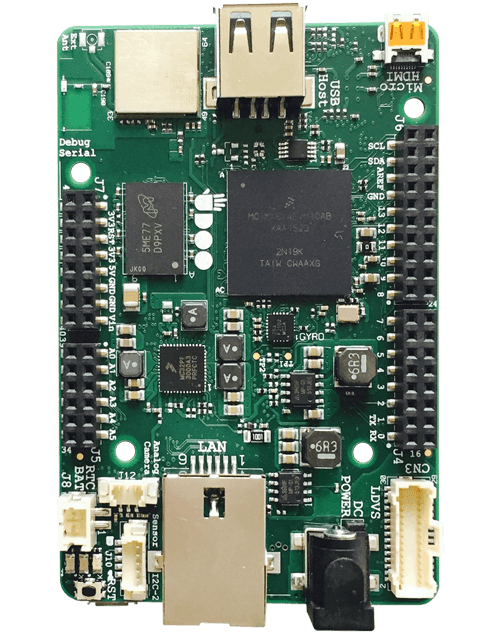 With a Freescale i.MX 6SoloX applications processor with an embedded ARM Cortex-A9 core and a Cortex-M4 Core, Neo comes with 1GB RAM. The Micro HDMI port can be connected to an external display and audio sources. The standard Arduino pin layout is compatible with Arduino shields. You can install Node.js, Python, and even Java on Udoo Neo. Trust Intel to deliver the most powerful single-board computer for advanced IoT projects. 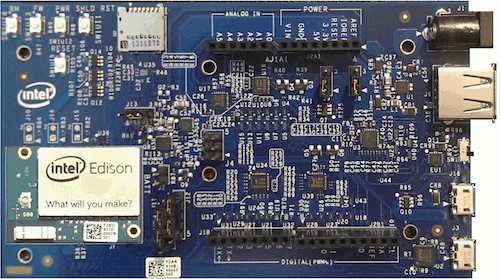 Intel Edison is a high-performance, dual-core CPU with a single core micro-controller that can support complex data collection. It has an integrated Wi-Fi certified in 68 countries, Bluetooth® 4.0 support, 1GB DDR and 4GB flash memory. Edison comes with two breakout boards – one that’s compatible with Arduino and the other board designed to be a smaller in size for easy prototyping. Six analog inputs, one UART (Rx/Tx), and one I2C pin. Edison runs on a distribution of embedded Linux called Yocto. It’s one of the few boards to get certified by Microsoft, AWS, and IBM for cloud connectivity. Raspberry Pi is undoubtedly the most popular platform used by many hobbyists and hackers. Even non-technical users depend on it for configuring their digital media systems and surveillance cameras. The recently launched Raspberry Pi 3 included built-in WiFi and Bluetooth making it the most compact and standalone computer. Based on a Broadcom BCM2837 SoC with a 1.2 GHz 64-bit quad-core ARM Cortex-A53 processor and 1GB RAM, the Pi is a powerful platform. The Raspberry Pi 3 is equipped with 2.4 GHz WiFi 802.11n and Bluetooth 4.1 in addition to the 10/100 Ethernet port. The HDMI port makes it further easy to hook up A/V sources. 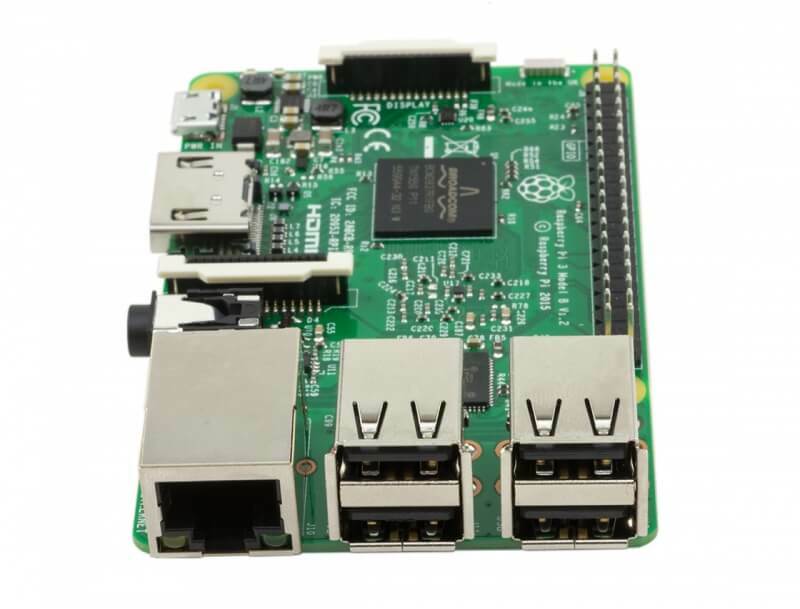 Raspberry Pi runs on a customized Debian Linux called Raspbian, which provides an excellent user experience. For developers and hackers, it offers a powerful environment to install a variety of packages including Node.js, the LAMP stack, Java, Python and much more. With four USB ports and 40 GPIO pins, you can connect many peripherals and accessories to the Pi. There are third party breakout boards to connect various Arduino shields to the Pi. At a throwaway price of $35, Raspberry Pi 3 is certainly the most affordable and powerful computing platform. 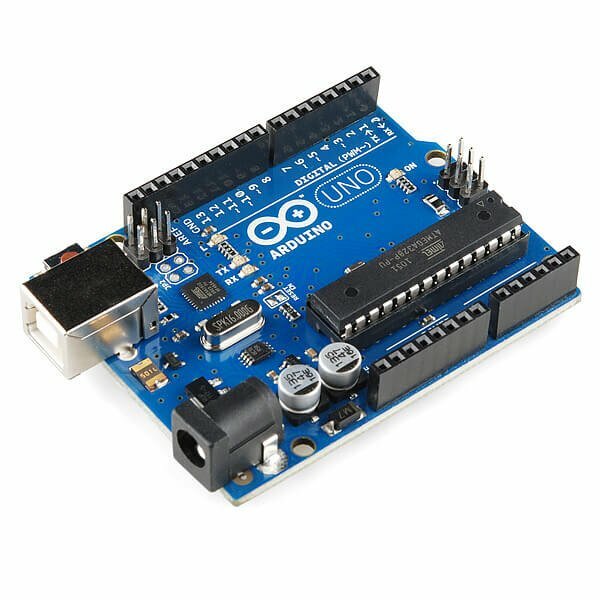 Arduino Uno remains to be the top favorite of absolute beginners and experts. Considered to be one of the first microcontroller-based development boards, the Arduino Uno R3 is simplest yet the most powerful prototyping environment. It is based on the ATmega328P which has 14 digital input/output pins and six analog inputs. Though it comes with just 32 KB of Flash memory, it can accommodate code that deals with complex logic and operations. Arduino enjoys the best community participation and support. From sensors to actuators to libraries, it has a thriving ecosystem. The board layout has become almost the gold standard for microcontrollers. Almost every prototyping environment tries to be compatible with the Arduino pin breakout. 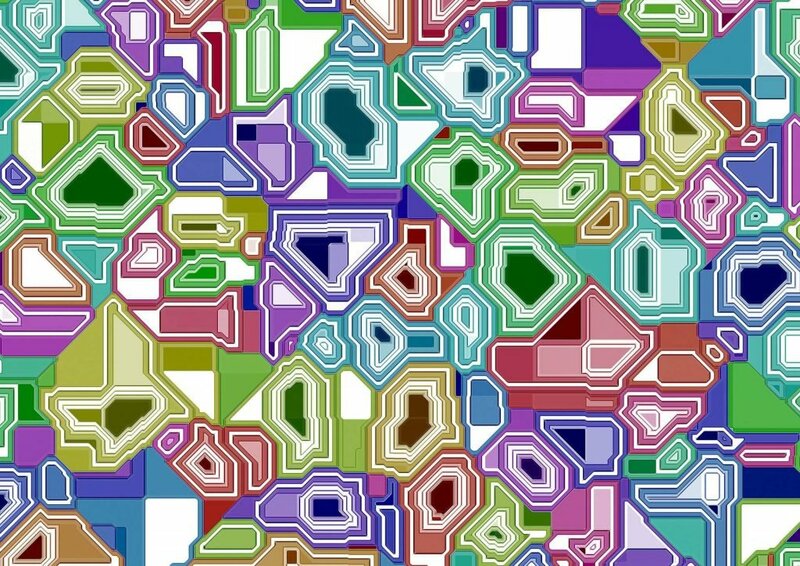 The open source IDE to develop sketches is another reason for its popularity. With a simple syntax based on ‘C’ language, the code is easy to learn. If you are eager to learn basics of electronics and IoT, look no further. Do yourself a favor and get an Arduino Uno R3.